The Quay Players are a friendly amateur dramatics society and a registered charity. They are especially passionate about musical theatre. Each year they perform a family pantomime and a full-scale musical in July. They also put on community events such as cabaret nights and quiz nights. 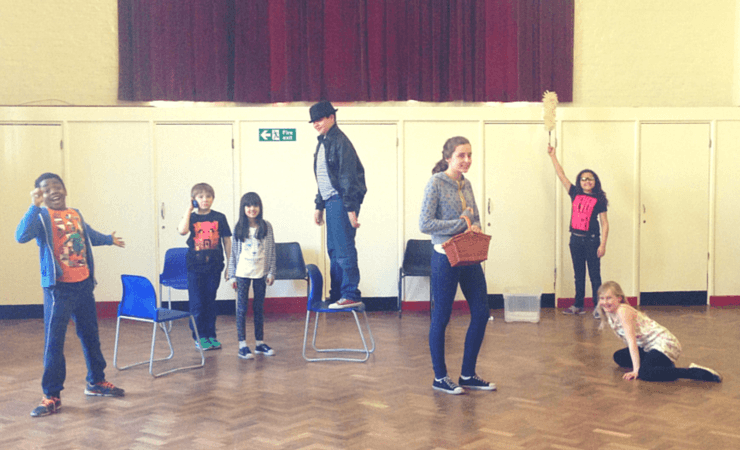 Keen to include children in their shows, The Quay Players are trying to develop a youth section. To this end they planned to run two three day youth workshops, one in October 2014 and another March 2015. 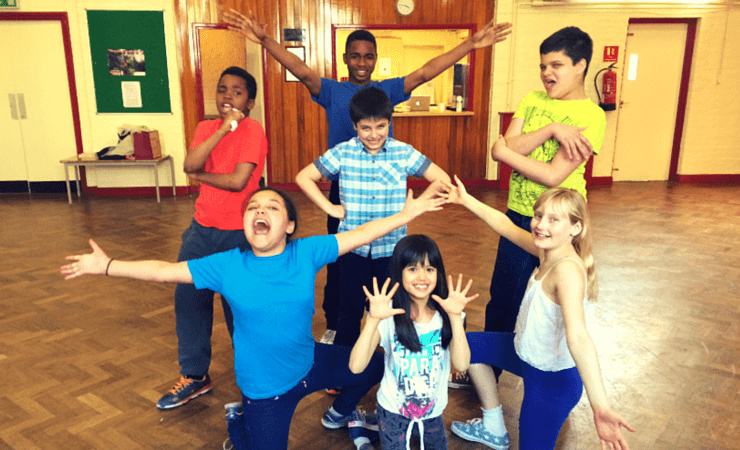 The grant from the Bermondsey Square Community Fund enabled the Quay Players to hire a professional West End director and a musical teacher to run the workshops. 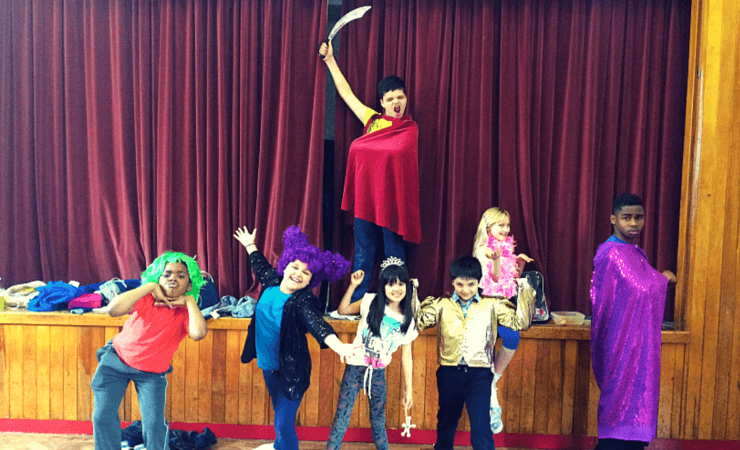 Developing confidence in reading and speaking as an individual, as part of a group and as part of a performance. Theatre terminology such as – stage directions (stage left, stage right etc) staging (the physical part of any performance) focus, stage presence, posture and delivery. Within both singing and drama the children looked at breathing, projection, timbre, style and tonality. They learnt three songs (Hey Mr Miller, Happy and Go the distance, Electricity and When I grow Up) in three part harmony. 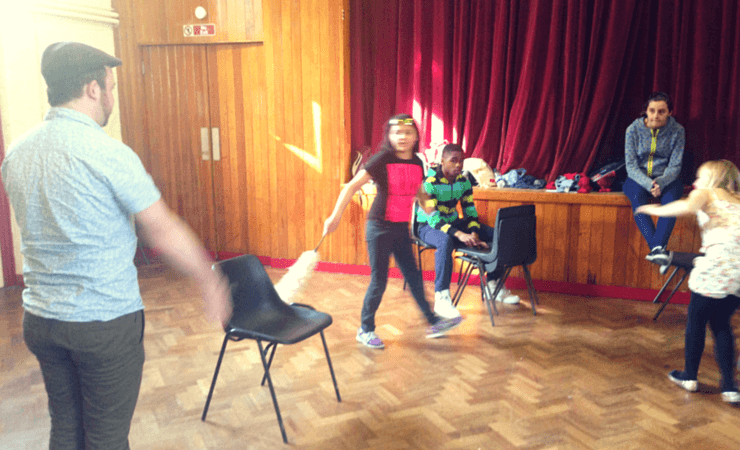 Creativity and teamwork – for example, whilst learning choreography, the children were given eight counts of music and asked to provide their own ideas, continuing in the style the teacher had set. Working in small groups they came up with a short series of steps that they presented to the group and were then incorporated into the overall piece. On the final day of both workshops the children put on a performance for their family and friends showcasing all that they had learnt which went down a treat with all children and parents asking when the next set of workshops will be held. 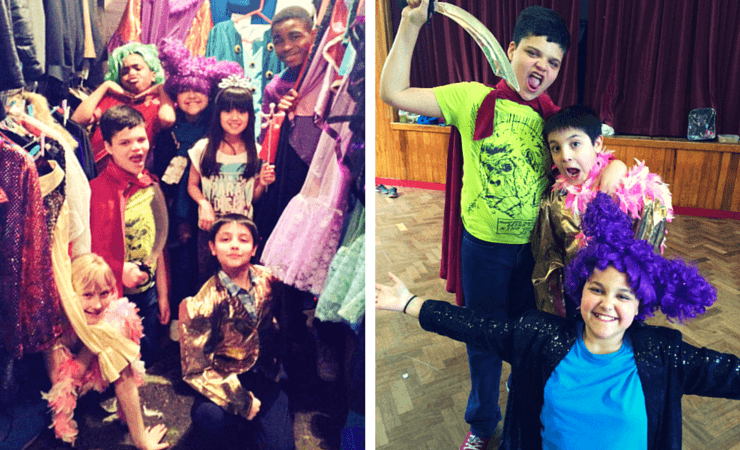 After the October workshops the children were invited to take part in The Quay Players Pantomime Sleeping Beauty at The Greenwood Theatre London Bridge in January 2015. This was only possible due the workshops which wouldn’t have been possible if it wasn’t for the grant from Bermondsey Square Community Fund. The Quay Players are now one step closer to opening a youth section. The children have been invited take part in their next pantomime Aladdin at The Greenwood Theatre November 2015.